Stress and trauma reactions to car accidents is one of the least understood and under-treated types of trauma. As more cars are on the road, car accidents are increasing. More than 10 million motor vehicle accidents happen each year; over 6 million people are injured or killed in car accidents each year. 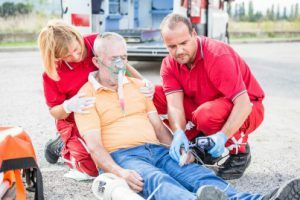 Some people who have been severely injured in a serious auto accident meet criteria for PTSD as do many who witness a serious car accident and see people seriously injured or killed. While most people do not go on to develop PTSD after experience or witnessing a motor vehicle accident, some do. Behavioral Symptoms are: Anxiety, emotional outbursts, irritability, agitation, depression, survivor’s guilt, self-blame, shame, self-harming behaviors, thought of suicide, homicidal thoughts. Cognitive Symptoms: Confusion, difficulty concentrating or paying attention, memory problems, trouble making decisions, feeling slowed down or fatigued. Physical Symptoms: Chronic pain, weight gain or loss, insomnia or excess sleep. 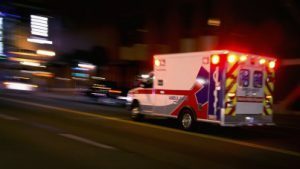 A person who has experienced or witnessed a traumatic car accident should first visit their physician or emergency room for treatment of injuries and then begin to see a therapist if they notice they are not getting over symptoms of trauma. After witnessing living through a car accident, the fear of driving can become phobia and may cause a person to stop driving, which can affect a person’s ability to fulfill daily responsibilities and engage in other activities. This fear may also progress to other areas, such as fear of being a passenger or fear of using public transportation, leading to increasing amount of time spent alone. Avoiding activities related to driving leads to reduction of symptoms and reinforces the phobia and this can, if left untreated, lead to agoraphobia. 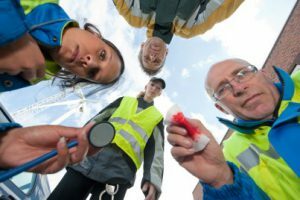 Both those who witnessed and those who lived through the trauma of an automobile accident will likely experience worsening symptoms over time without treatment. Trauma Touch Healing addresses the above symptoms and assists survivors organically release negative emotions from the body so that one can begin to heal and return to a place of peace, balance, health. IF YOU THINK YOU HAVE TRAUMA-RELATED ISSUES – PLEASE CALL US! Discover Essentials for Understanding Energy Healing - "Chakra Balancing" and "5 Energy Bodies".